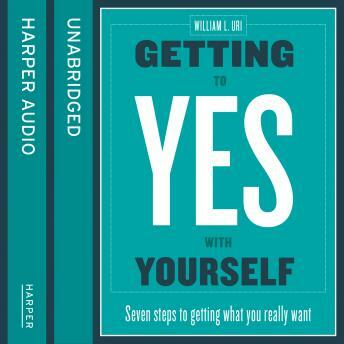 In his highly anticipated follow up to the bestselling "Getting to Yes: Negotiation Agreement Without Giving", Harvard University's world renowned negotiation expert William Ury provides the definitive guide to attaining success at work and at home. Drawing upon decades of experience in some of the world's most challenging conflict areas - from million-dollar corporate mergers to high profile Middle Eastern struggles - Ury highlights a previously unexamined issue which affects us all, personally and professionally: the biggest obstacle to achieving what we want comes from our own self-destructive actions. In his brilliant new book, Ury outlines practical strategies for dealing with the inner conflicts that hinder our successes. From tactics for dealing with an untrustworthy work colleague, to methods for handling a divorce conversation, and coming out on top, "Getting to Yes with Yourself" outlines universal techniques for success in seven compelling chapters. Fresh and insightful, "Getting to Yes with Yourself" will transform the way you approach your life.